Several former Midwest League managers were in the news this week. One received a major award, and the other three landed new jobs. 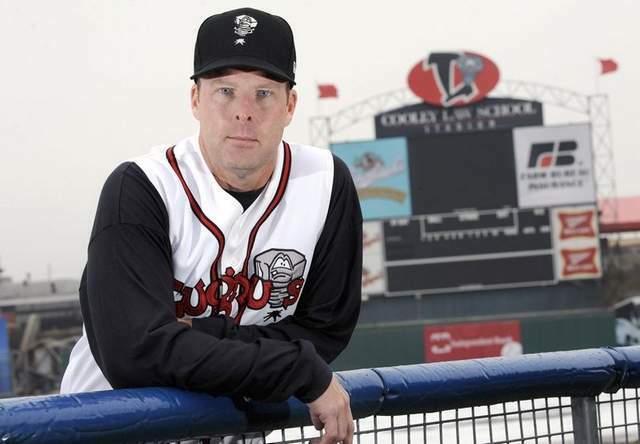 Former Kane County Cougars skipper Mark Grudzielanek was announced Wednesday as the new manager of the Charlotte Knights, Triple-A affiliate of the Chicago White Sox. “Grudzie” managed the Cougars in 2015 and was an assistant coordinator in the Arizona Diamondbacks organization for the 2016 season. He also played in the Midwest League, batting .246 with 5 HR, 54 RBI and 25 SB in 128 games with the 1992 Rockford Expos. Former Miami Marlins manager Mike Redmond will serve as bench coach for new Colorado Rockies skipper Bud Black. Redmond managed the Lansing Lugnuts in 2011, leading them to the MWL Championship Series. (The Lugnuts lost the series to the Quad Cities River Bandits.) Redmond was named the MWL Manager of the Year that season. He played in the MWL in 1993 and 1994, cumulatively batting .254 with 1 HR and 34 RBI in 135 games with Kane County. Former Minnesota Twins manager Ron Gardenhire will serve as bench coach for new Diamondbacks skipper Torey Lovullo. Gardenhire’s first job as a manager was in the Midwest League, as skipper of the 1988 Kenosha Twins. That team lost the MWL Championship Series to the Cedar Rapids Reds. This entry was posted in 2011 Playoffs, Cedar Rapids Kernels, Charlotte Knights, International League, Kane County Cougars, Lansing Lugnuts, Midwest League, Quad Cities River Bandits, South Bend Silver Hawks. Bookmark the permalink.